A dairy free brownie with a chocolate peanut butter layer! 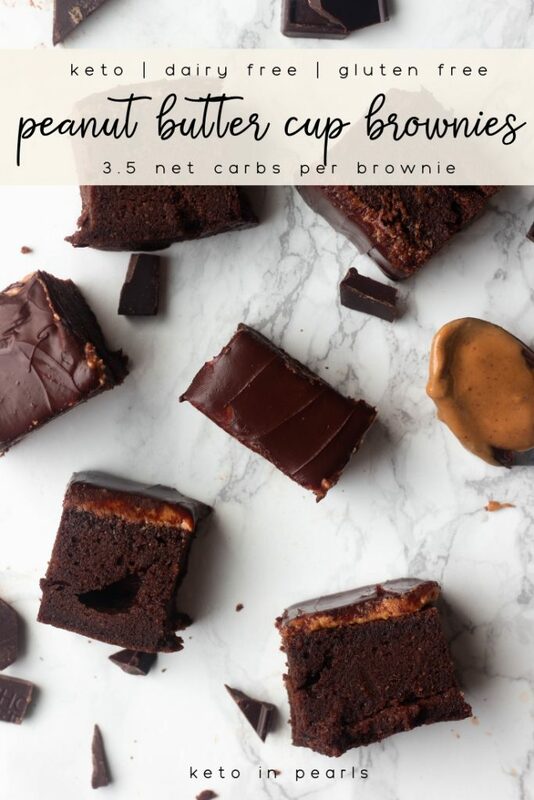 These chocolate peanut butter keto brownies are only 3.5 net carbs and sinfully delicious! If you miss chocolate peanut butter cups, you’re going to love these! Chocolate and peanut butter can do no wrong in my life. In fact, chocolate and peanut butter do a whole lotta right. 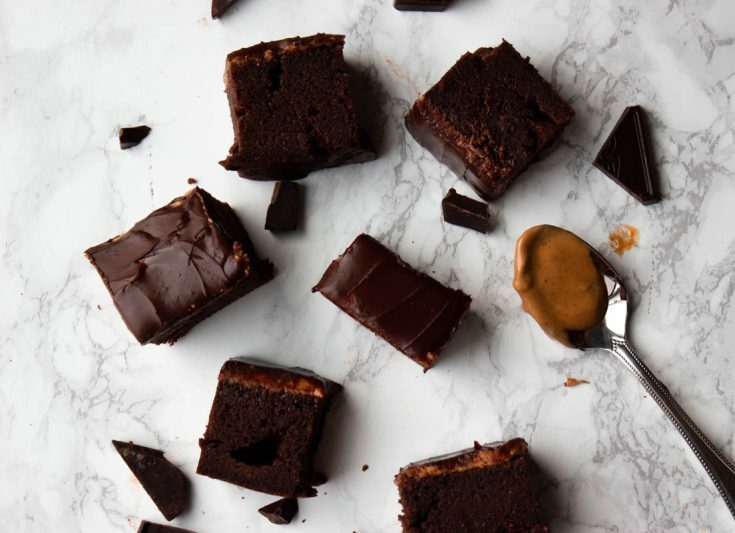 Take these keto peanut butter cup brownies for example. They can fix all your problems, I’m sure of it. Okay, maybe that’s a bit of a stretch. This time of year is really hard for me. What time of year, you ask? Easter. Easter is really hard for me, okay? Gosh. I mean, all the chocolate, jelly beans, sugary marshmallows. It’s just cruel. And why, Reeses, are your peanut butter eggs the BEST shape of all your peanut butter cups? Everyone knows the eggs are best, then the trees, and last but never least, the pumpkins. I must confess too. I almost bought a value sized bag of Reeses eggs “for the kids” at Costco the other day. I knoooooow. So, so bad but I didn’t, alright? Plus, this is a safe space and I feel comfortable telling you that. Like I casually hinted earlier, peanut butter and chocolate are my weakness. in fact, I’ve been dreaming about making a keto chocolate peanut butter cup for months! Don’t worry, it’s coming too! But until then, I’m giving you keto peanut butter cup brownies. Y’ALL. These brownies are the bomb! Raise the roof good, y’all. Let me say it louder for the people in the back: THESE BROWNIES ARE THE BOMB! 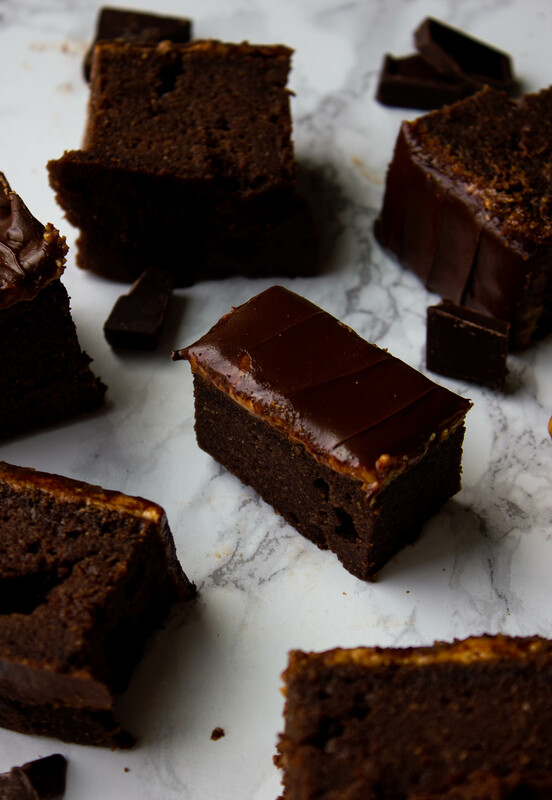 I suppose these Keto Brownies should come with a warning attached: making these brownies may result in an uncontrollable urge to eat the entire pan in one sitting. If brownies are consumed in one sitting, the consumer might feel sick. Eating the recommended portion size is recommended. I used my recipe for Fudgey Keto Brownies as the base because if it ain’t broke, don’t fix it, nah’m sayin? 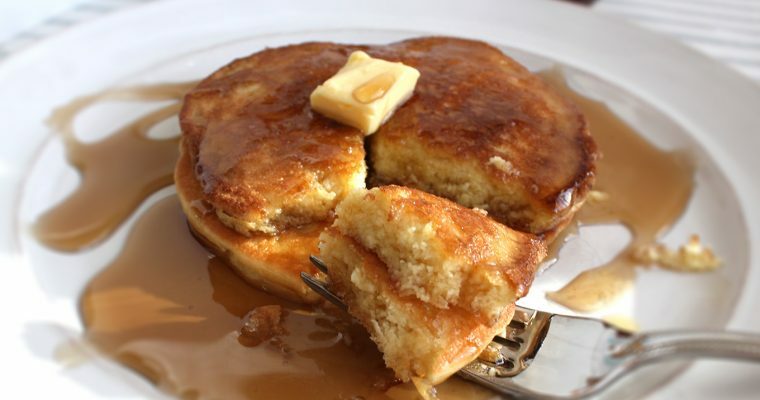 Monkfruit works best in this recipe but it has the most powdered sugar like consistency of any of the keto sweeteners. I prefer the Lankanto brand. I’ve linked it for you in the recipe card below. And for an even more Reese’s like chocolate peanut butter layer, sub out the sugar free chocolate chips with ChocZero dark chocolate squares! They’re my favorite chocolate on the sugar free market! If you do that, the carbs don’t change at all! Save 10% off your ChocZero order with code ketoinpearls! 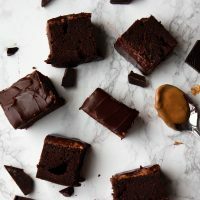 If you’re a chocolate and peanut butter fan, I have no doubt your jaw is going to hit the floor when you try these bad boys! As always, tag me on social if you make these and they last long enough to snap a pic! 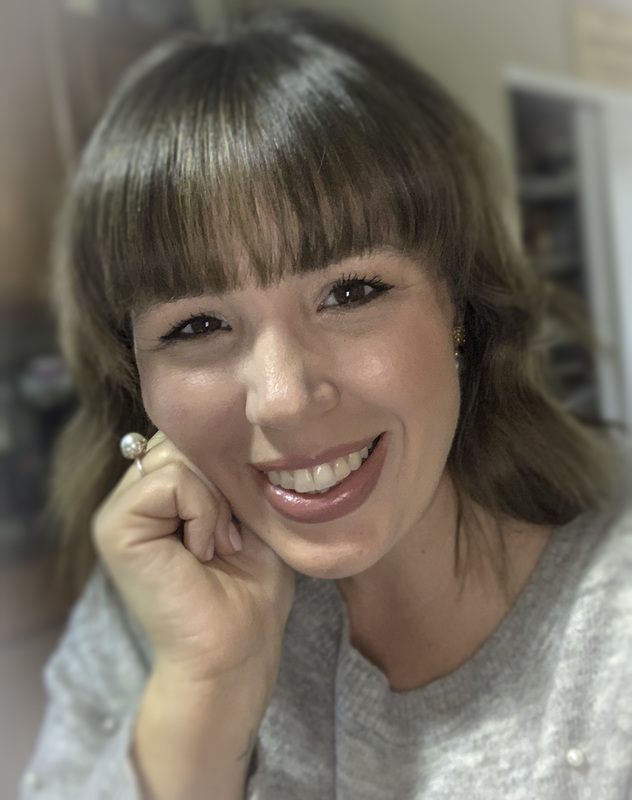 I’m @ Keto In Pearls across all social media! A dairy free brownie with a chocolate peanut butter layer! 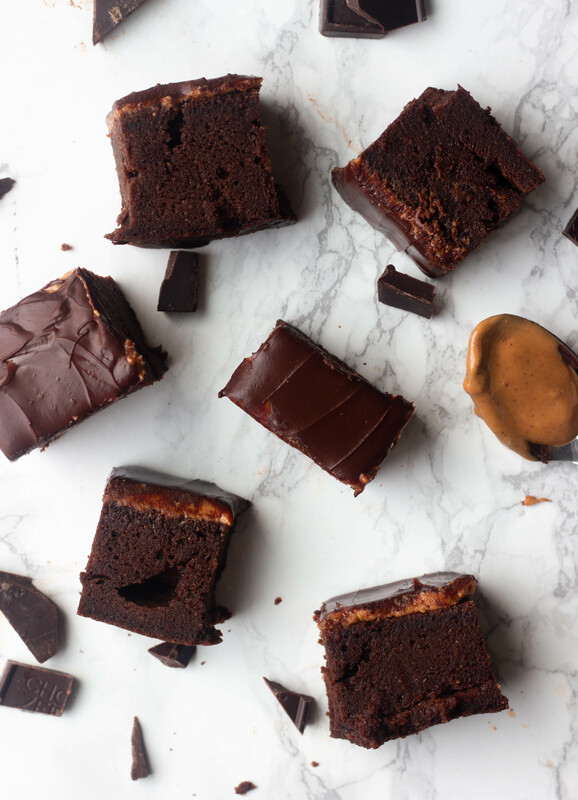 These chocolate peanut butter keto brownies are only 3.5 net carbs and sinfully delicious! If you miss chocolate peanut butter cups, you're going to love these! Preheat oven to 350 degrees. Grease 8"x8" baking dish or line anwith parchment paper and set aside. Combine the dry ingredients in a large bowl. Use a mixer to whisk out any lumps. 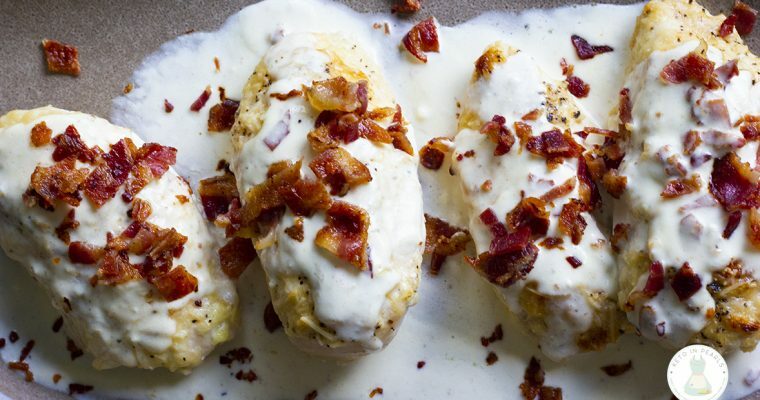 Add the eggs and mayonnaise and whisk until combined. Add the peanut butter and vanilla and whisk until combined. Add the water and whisk until combined. Transfer the batter to the prepared baking dish. Bake for 30 minutes. A toothpick should not come out clean after baking. While the brownies are cooling, prepare the topping. In a medium bowl, whisk the peanut butter and monkfruit until the mixture is dry and slightly crumbly. Add the chocolate to a microwave safe bowl and microwave in 10 second intervals, stirring between each, until the chocolate is melted. 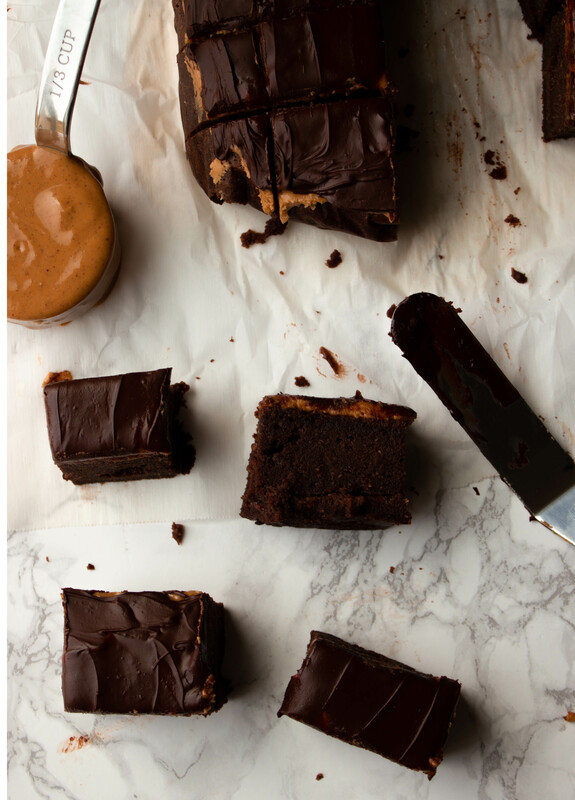 Use an offset spatula and spread the peanut butter layer on top of the cooled brownies. If the top of the brownies are not even, flip onto a plate and spread on the smooth surface. 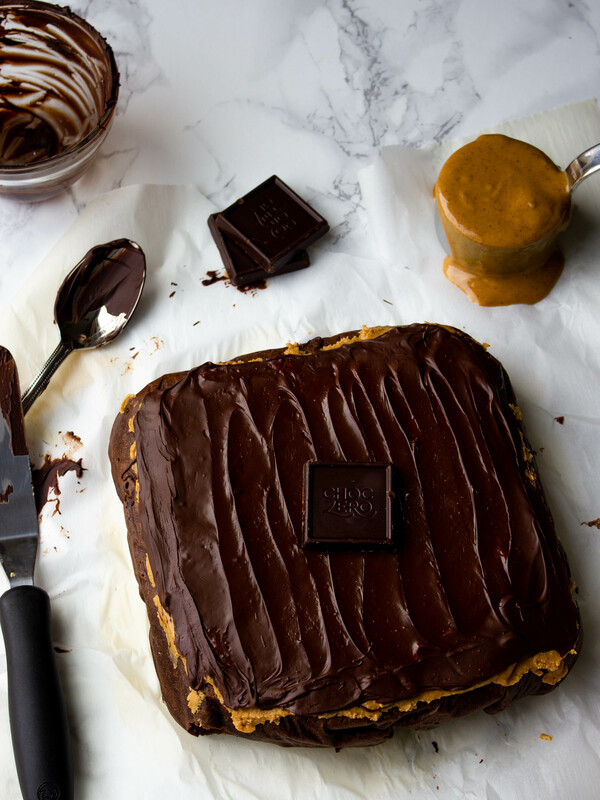 Spread the melted chocolate on top of the peanut butter layer. Let sit 5 minutes for the chocolate to set up. Store in an airtight container up to 1 week. No refrigeration needed.